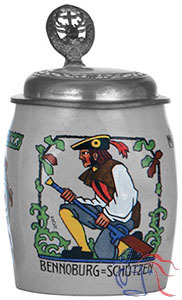 Stoneware; typically enameled transfer; 1.0L, 0.5L or 0.3L; pewter lid. 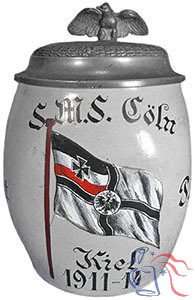 This body style served as the base for a variety of transfer decorated steins, and was often used for regimental (reservist), student society and other organizational steins. 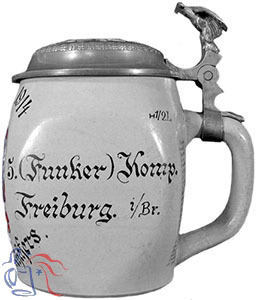 Prices can vary significantly depending on subject-matter. 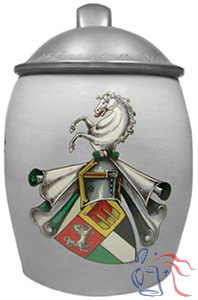 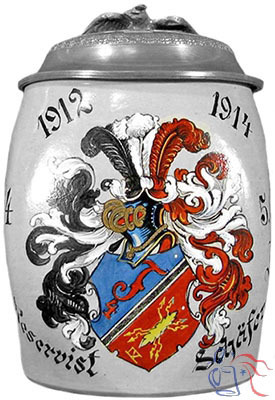 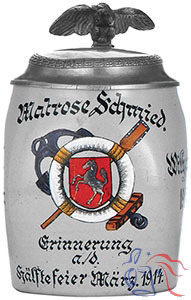 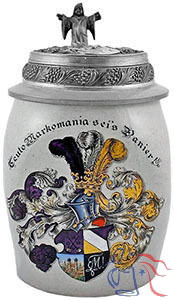 Same body style was also used with a group of incised steins designed by Richard Riemerschmid.